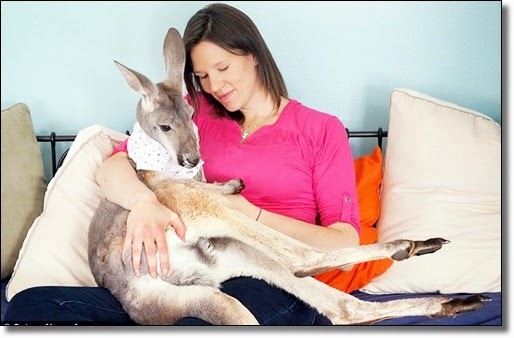 Julia Heckathorn, 28, adopted two-year-old Boomeroo, a kangaroo from a farm in Texas, when she was just 3 weeks old. The pair have been inseparable ever since. Boomeroo wears human clothing and lets out an excited squeak whenever Julia walks into a room. 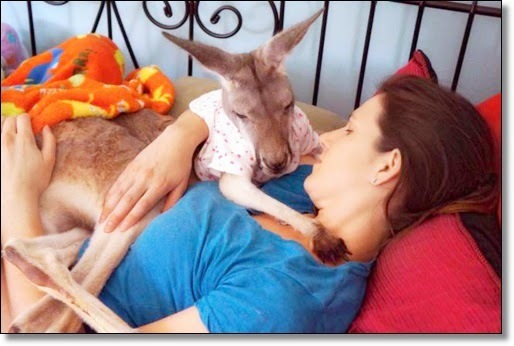 She says that Boomeroo loves to cuddle. 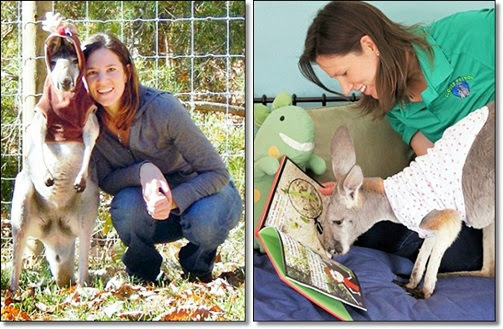 Julia is a children's author and takes Boomeroo with her whenever she visits a school. She hopes this will help teach the students more about nature. 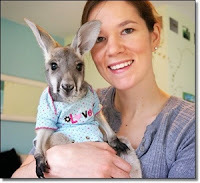 She says Boomeroo loves to wear clothes and has a wardrobe full of tops and dresses, that she purchased from baby stores. Boomeroo got so big that they had to built a temperature controlled barn in their garden. 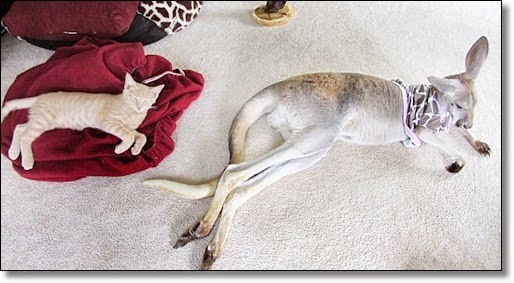 She sleeps with the other animals, an anteater, named Noche, four sugar glider possums, and a cat, named Larry. 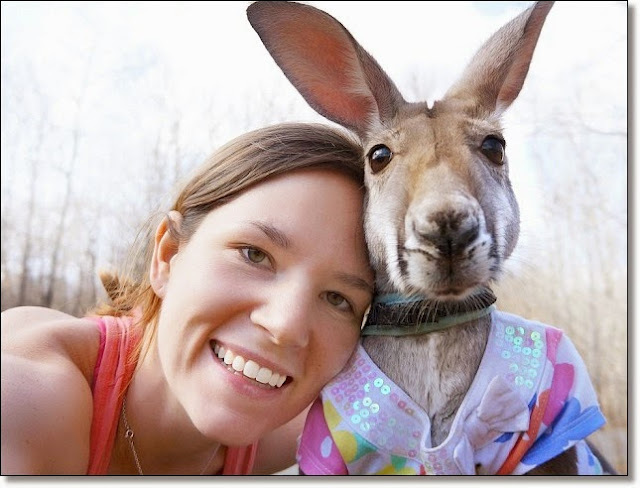 Although Boomeroo sleeps in the barn at night, she spends her days hopping around the house and garden with Larry. She loves staring out the window, and sleeping and sleeping at Julia's feet while she writes. 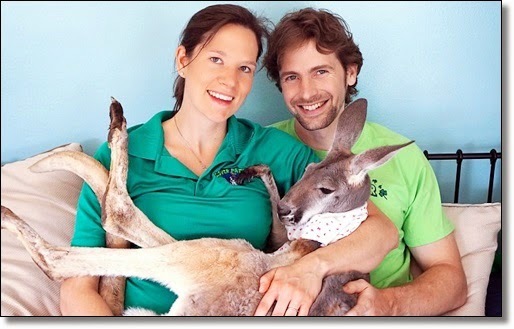 "When Boomeroo was younger I used to carry her around in a bag with me to the supermarket so she could get used to seeing people," she said. "She follows me everywhere. 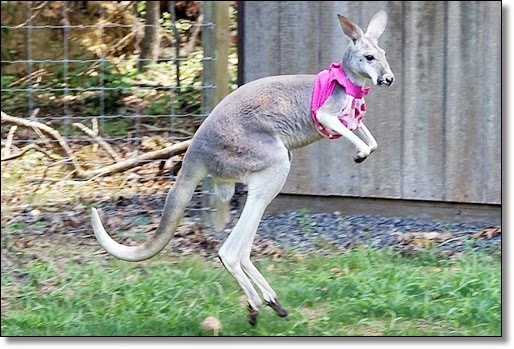 When she sees me, she makes this little sound, like an excited chortle, just as kangaroos would do in the wild to locate their mothers," she said. 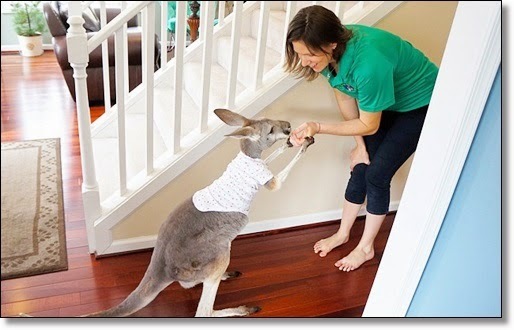 Describing the kangaroo's love of human attire, she said: "When we first got Boomeroo, she was wearing a little shirt and has worn clothes ever since. The clothes give her comfort as a thunder shirt would give comfort to a dog." 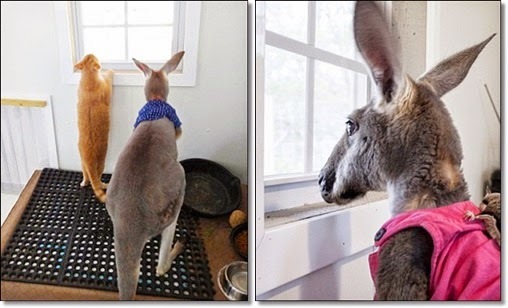 Kangaroos are social animals, living in groups called mobs, so when Boomeroo was a joey, Juila also adopted Larry the cat, to give her 24-hour companionship. 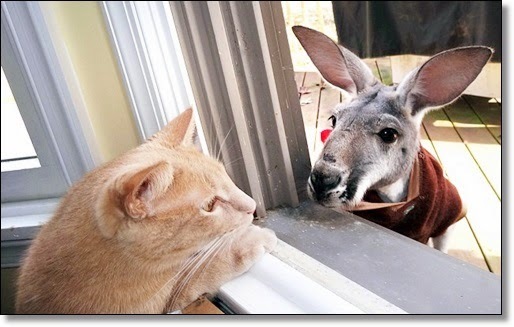 Talking about the animals' unorthodox friendship, she said: "Boomeroo and Larry get along very well. They are now the best of friends, and do everything together. 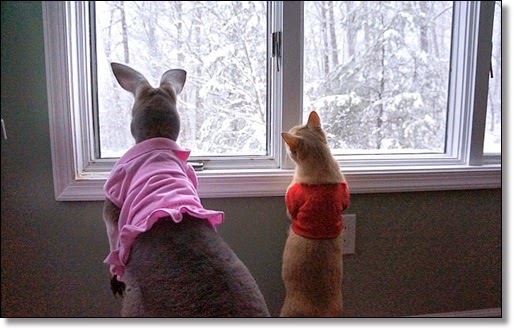 They eat grass, lay together, and watch the birds. It's adorable." 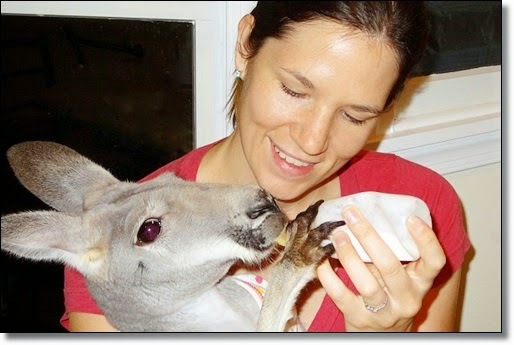 Julia said that whenever she visits a school with one of her unusual animals, the childrens eyes, light up with excitement, and they become more interested in learning about conservation.